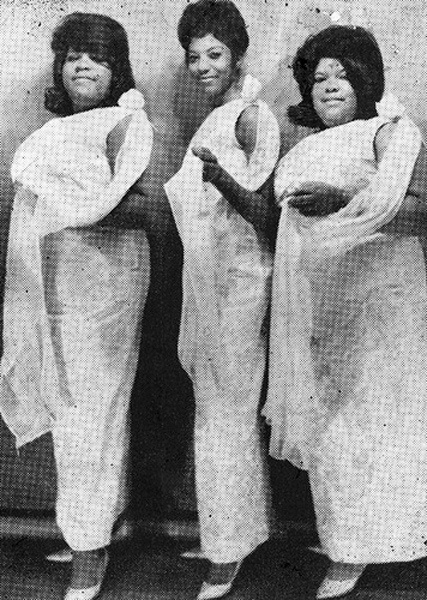 In 1958, a quartet of girls christened themselves the Tropicals and began to perform in local Washington DC clubs. Their repertoire consisted of many of the hits songs of the day and old favorites that would get an audience up on their feet. The group, all hailing from the DC area, consisted of sisters Jacqui and Vicki Burton and their longtime friends Jeanette Talley and Roberta Miller. What the girls wanted more than anything was to get a recording deal and become stars, but their first break was a long time coming. In 1962 they were seen by Clyde Otis, who offered them his services as their manager and secured a contract for them with Okeh Records. Before their first visit to a recording studio, in August 1962, a change of name was required, so the girls became the Blossoms. 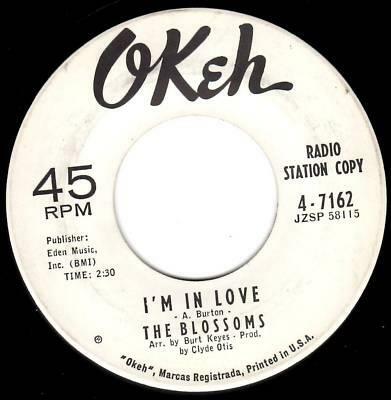 The group cut enough tracks for an entire album but only one single, "I'm In Love", was released. The 45 failed to make any impression and the girls were released from their contract. Despite their immense disappointment, they continued to tread the boards. When they heard about the formation of the new Shrine label, they went along to get themselves a piece of the action. By this time Roberta had retired due to ill health, leaving the remaining trio to sign with Shrine. 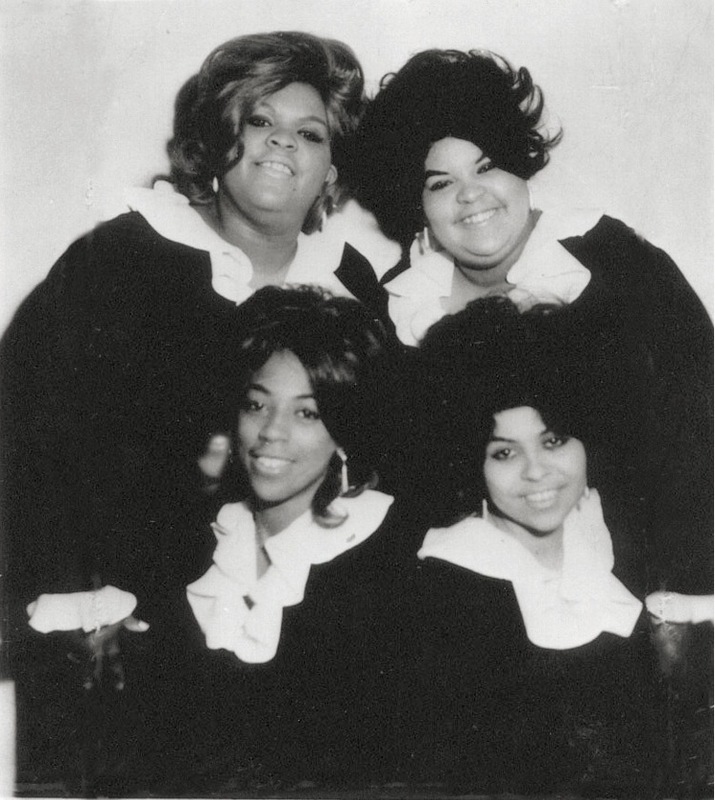 A change of name was required to distinguish them from Darlene Love's West Coast group, so the girls became the D.C. Blossoms. Shrine Records released “I Know About Her” b/w “Hey Boy” in 1966, but this record also failed. The D.C. Blossoms disbanded shortly after this release.